After four years of hype, this oughta be the best first-person shooter on the PS3. And it is! 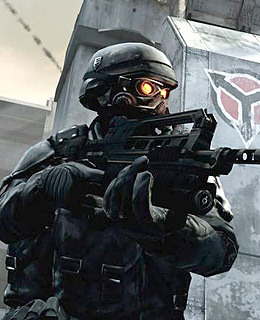 You play a soldier locked in a firefight with the sinister, glowy-eyed Helghast. There aren't loads of new ideas here, but the graphics are so vivid, they're practically hallucinatory.